For our final sermon in the Simplify series Nick unpacks the seasons of the soul, how seasons change and how God encounters us throughout the highs and lows of life. In our second last week of our Simplify series Nick guides us through a simple 6 word statement that describe the purpose of every man, woman and child on Earth. Often fear robs us of the peace that God wants to give us. 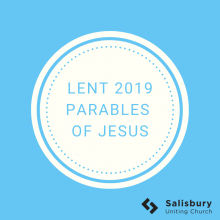 Listen in as Phil guides as through John 14:27 which tells us about the beautiful promise of peace that Jesus offers us. This week Danica preaches on moving from isolation to connection. How to go into 2018 with healthy connections that spring from our relationship with God. Listen in as Tom teaches on how to enjoy the Sabbath rest that God created for us. As we move into a new year we ask ourselves critical questions. What are our hopes for this new year? What do we want to quit? What do we want to start? In the first part of our new teaching series called Simplify, Rev Nick teaches on what is speaking into our lives.